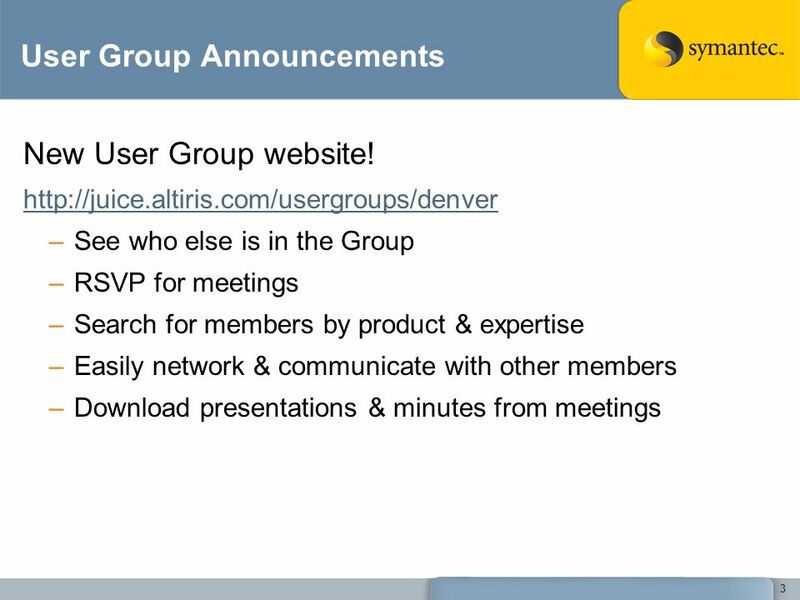 Altiris Denver User Group Meeting August 20, 2008. 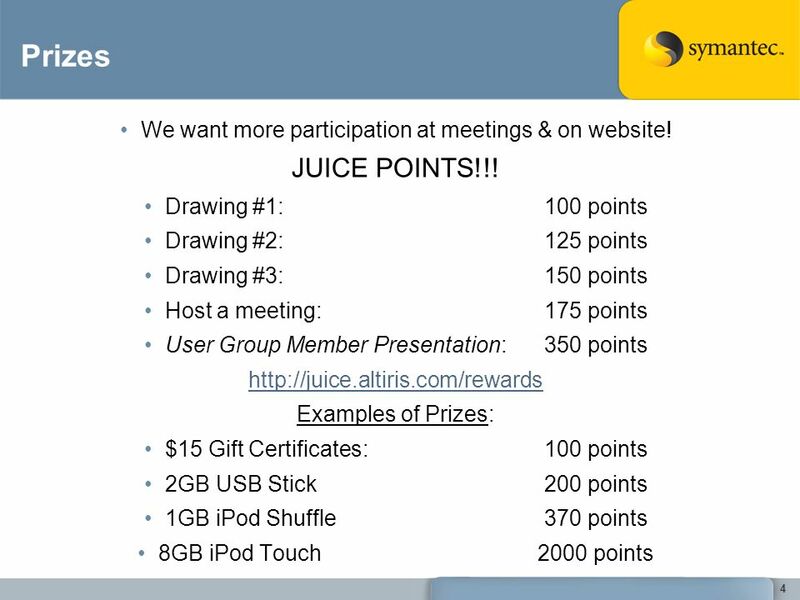 Download ppt "Altiris Denver User Group Meeting August 20, 2008." Welcome to Curriculum Night at IMS September 24, 2013. SunGuide TM Software Development Project Release 3.1: I-95 Express Lanes Design Review Follow-up January 29, 2008. WELCOME!! OCTOBER 5, 2010 ARRA Title II D –iPad Grant. TRAINING PROGRAMME BULK PACKAGES FOR THE CARRIAGE OF DANGEROUS GOODS FOR EXPORT AND CERTIFICATION Scheduled on 22 nd March, 2012 Venue: Indian Institute. Use the expression È… to indicate time from 1:00 to 1:30, noon, and midnight. È luna. = It is 1:00. È mezzogiorno. = It is noon. È mezzanotte. = It is. Documentation Workgroup CDA Consolidation Project October 5, :00-12:45pm EDT 1. RMP BENTHIC ASSESSMENT WORKSHOP Tuesday, May 23rd, 2006, 9:30 am – 4:00 pm Elihu Harris State Building, Room 9, 1515 Clay Street, Oakland, California. 1Copyright © 2008, Printer Working Group. All rights reserved. Imaging Device Security (IDS) Working Group Longmont, CO - PWG F2F Meeting June 25, 2008. 1Copyright © 2008, Printer Working Group. All rights reserved. Imaging Device Security (IDS) Working Group Camas, WA - PWG F2F Meeting August 13, 2008. What Was Judy's Old School Like? 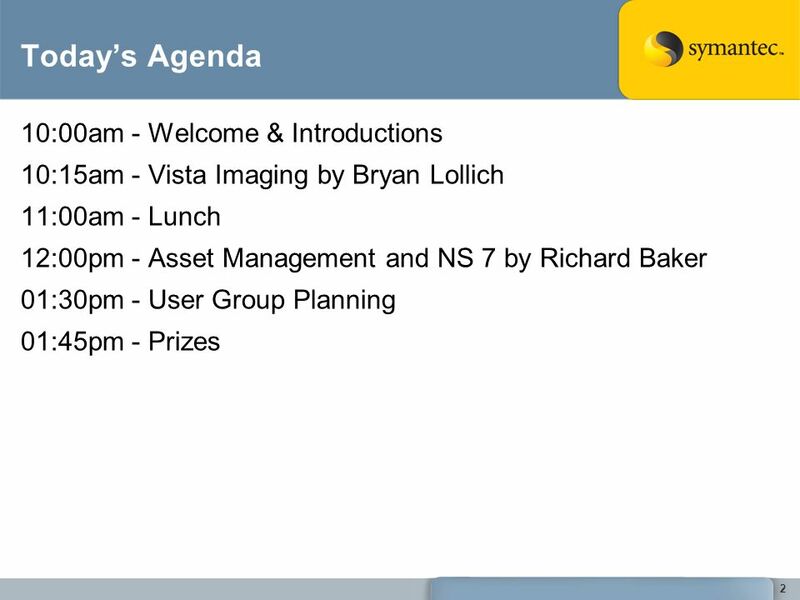 March 18 th, 2008 Data Systems – Data Warehouse. Data-Driven Decisions.